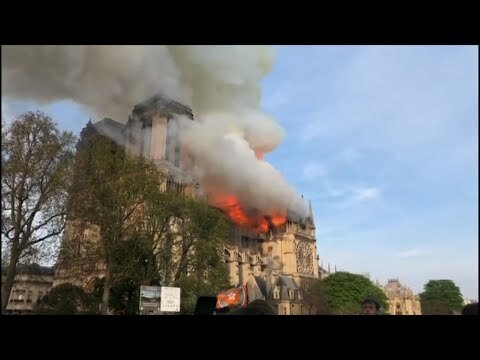 South Korean President Moon Jae-in says the damage was “a loss for all of us” and called for the world to come together to rebuild the Paris landmark. Moon and Japan’s top government spokesman on Tuesday expressed their sympathy to French President Emmanuel Macron and the French government. France’s culture minister posted photos on social media of people loading art onto trucks.